Thanks to a century or so of propaganda from Thomas Edison and his lackeys, many people aren’t very familiar with Nikola Tesla or the various scientific discoveries he made. 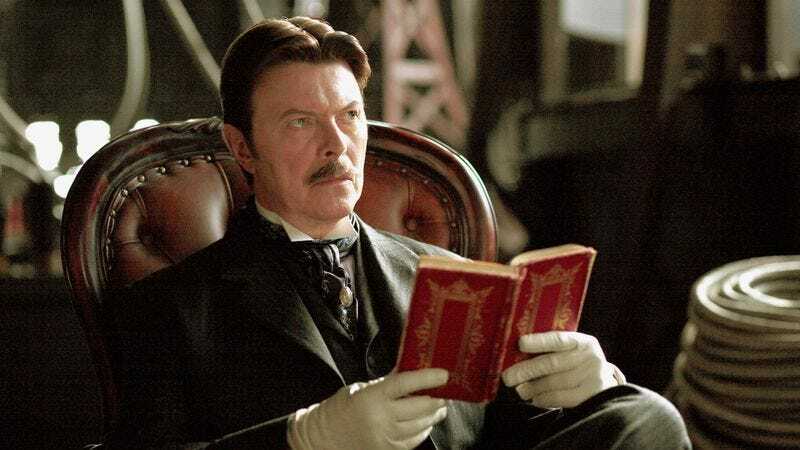 Luckily, Christopher Nolan’s 2005 film, The Prestige, can teach us everything we need to know about the man. For instance, he once tried to invent a teleportation machine that would actually create perfect duplicates of whatever it was supposed to teleport. Also, he was a chameleon-like rock star who would occasionally adopt different personas, like Aladdin Sane, Ziggy Stardust, and the Thin White Duke.